This entry was posted on July 2, 2010 at 9:45 am and is filed under Daily Life, Dreams, Emotions, Family, Friends, Life, Musings, People, Personal, POETRY, Random. You can follow any responses to this entry through the RSS 2.0 feed. You can leave a response, or trackback from your own site. 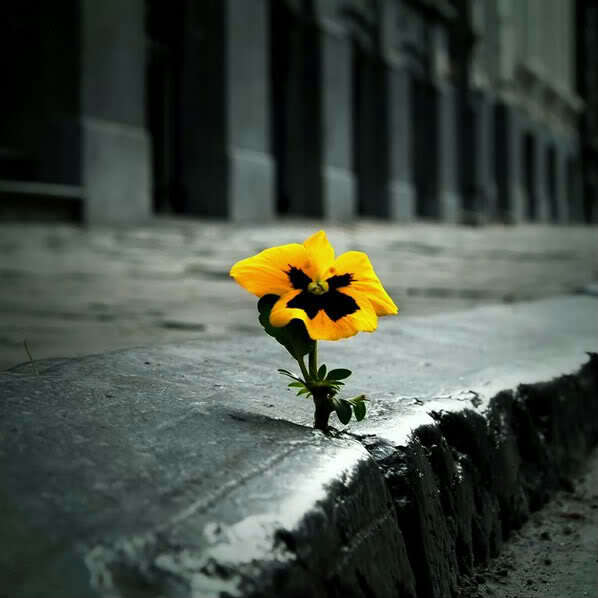 blooming beautiful in a concrete land. the power and durability of nature is a miracle we take for granted. and i love this song! Your blog always reminds me of that song. Coincidence? lol Clever poem, lovely lines and image too. you may need to visit participants in my list to get more feedback. Very nice. Such a sad commentary on how love can smother. As always, lovely and gorgerous work. So sad and gentle – I love it! That phot is phenomenal…adds power to your already lovely and bittersweet words. Oh boy!! This is such a sweet poem! So innocent and …well… SWEET!!! Have a lovely weekend, Amanda! this is really sweet… like everyone says.. a piece of word candy. I found this to be a very powerful poem,,,, it touched me at a more highly refined thought and sensation with an air of a spiritual and ethereal quality. A very Zen moment in reading this poem. Aww. You are so great! I mean, you inspired me with this poem! I sure am only a 14-year old girl but this poem woke me up for some reasons… I really love and enjoyed reading it. Great job! So sad…………I hope it’s not about you. 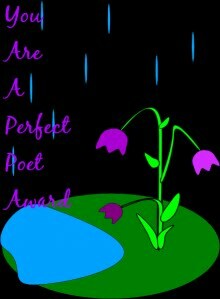 Does it matter that the poem is about a buttercup yet the flower is a viola, probaly not, it’s just the symbolisim. The poem could be about love, it’s not enough to light the fire, you have to keep adding wood to keep it alive. words that just sing..loved the flow! Sweet poem! Unusual topic too. many of us know the feeling of wanting to hold onto something we love too tightly. this is too, too beautiful. some people do it with their kids. is that pic genuine? congratulations for the very well deserved prize. What a beautiful poem, written with softness as you read from line to line. A wonderful flow too. I did feel the saddest in your words, but that is good. An excellent poem is supposed to make you feel emotional, happy, and etc. and yours surely does that. Thank you for stopping by my blog to read my poem. That was so very nice of you. Thank you for your comment and this beautiful tale of you and a flower. Thanks so much for stopping by my little nook ~ and have a fabulous weekend. Great write, sweet flowing rhymes, and a powerful message packed in this beautiful poem. It was a pleasure to read. Have a splendid weekend Amanda. Sweet and sad… have you ever tried rhymes? It might work well with this sort of poem. buttercup, this is a beautiful metaphorical depiction of reality. more often than not, too much love can also kill. sometimes you have to learn to let go in order to let it live. i am a big fan of the “build me up buttercup” song. i will never get tired of listening to it. thanks for sharing. I will post text only, and with your blog name, general blog link included. Excellent poem 🙂 Really captures some strong emotions. I also absolutely love the picture! I love this…so sweet indeed. I absolutely love this piece. When I was a kid, I would often pluck flowers and leaves. As I grew older, I started refraining from doing so as I didn’t want them to wither and die because of me. Even now often I will reach out to pluck a flower, but stop myself before doing so. They’re most beautiful while they can still grow 🙂 Keep writing! lovely poem…its difficult to let go of somethin that u love isnt it???? Loved the rhythm of this poem of yours… a little sad though. your blog makes both my stomach and my spirit full. I really love the flow and rhythm of this one. Stay inspired!! an excellent reminder that we must let go. let love. let God. Lovely poem. I enjoyed it. Thanks. Such a lovely and touching way to show the loss of one so dear when that dearest thing is not allowed to thrive. Beautiful poem and lovely choice of a phote. Very nice. I liked the imagery, and I liked that you spelled colour in the old British style. It looks so much nicer that way. Good metaphor and lovely short verses!